MassBay offers more than 70 associate degree and certificate programs through four academic divisions: Health Sciences; Humanities & Social Sciences; Business & Professional Studies and Science, Technology, Engineering & Mathematics (STEM). Students benefit from a dynamic learning environment facilitated by accomplished faculty with experience in their respective fields and strong connections to business and industry. Many associate degree programs are equivalent to two years of a bachelor’s degree program at a four-year institution. 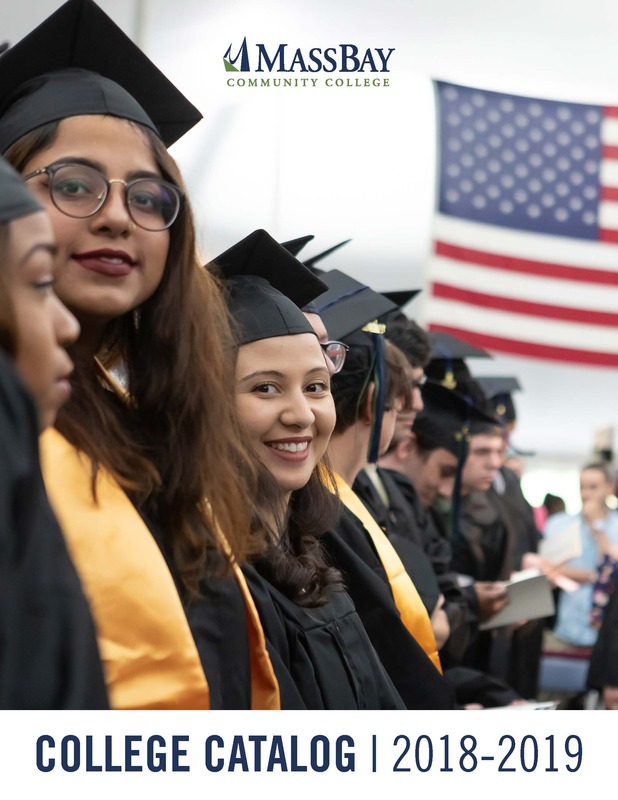 Benefitting from MassBay’s outstanding record of successful student transfers, and with transfer agreements with public and private four year colleges and universities, our students go on to achieve their academic goals thanks to the foundation of learning they built at MassBay. There are also numerous associate degree and certificate programs which prepare students for entry-level positions in high-demand fields immediately upon graduation. MassBay offers two-year professional and liberal arts programs. From health, engineering, business, education, information systems and computer technology, automotive technology, physical sciences and liberal arts, MassBay students have a wide range of choices. Many of our professional programs include opportunities for students to learn not only in the classroom but also in the field, with hands-on experience. We also offer state-of-the-art labs that simulate the real experiences students will face in the relevant profession. Our liberal arts programs provide the foundation for further learning and career advancement. Students who complete a MassBay transfer program are fully prepared for further study at four-year institutions for a baccalaureate degree. They may be eligible for transfer status as a junior to many colleges and universities. Our professional programs qualify students for immediate employment in their chosen field. In addition to our degree programs, MassBay offers a number of certificate programs in communications, interior design, education, health, human services, liberal arts, and business. These certificates bolster the credentials of students as they enter a new field or advance in their current one. While every program has a set of required courses, students will also have the opportunity to choose some elective courses. Students are encouraged to work with an advisor in designing a specific course of study and in planning for further college study or employment. All College programs of study listed in this catalog are subject to change in accordance with College requirements. Courses may not be offered each semester, and some courses may be offered only in the evenings. Advisors provide students with current curriculum program sheets upon registration. These sheets detail each College program offering and include a listing of required courses and choices of elective courses for each degree and certificate program. What is a curriculum sheet? A curriculum sheet outlines the courses required to complete an associate degree or certificate in a given program. Curriculum sheets list required courses and elective options necessary to complete the program in a timely manner. Students are strongly encouraged to enroll in a minimum of 15 credits per a semester to complete their program on time. Please note, some prerequisite or preparatory courses in math and/or English may not be eligible for some programs at MassBay. Students should meet with their academic counselor when planning their academic pursuits. A prerequisite is a course, condition, or a test that is needed prior to taking a course or a program. An example of a course prerequisite: Biology 101 (BI 101) is a prerequisite for Anatomy and Physiology I (BI 215). This means you have to take BI 101 BEFORE you can take BI 215. An example of a program prerequisite: EMT Certification is a prerequisite for the Paramedicine program. This means you have to complete the EMT Certification BEFORE you can be in the Paramedicine program. Go to information for Automotive Technology. Go to information for Business & Professional Studies. Go to information for Health Sciences. Go to information for Humanities & Social Sciences. Go to information for Science, Technology, Engineering, & Mathematics (STEM).